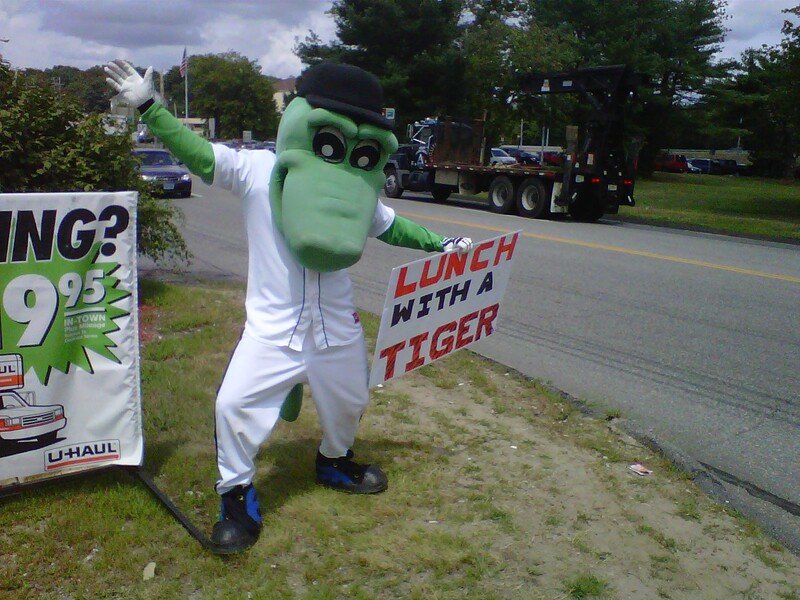 Yesterday afternoon, the first installment of the “Lunch with a Tiger” series was held. 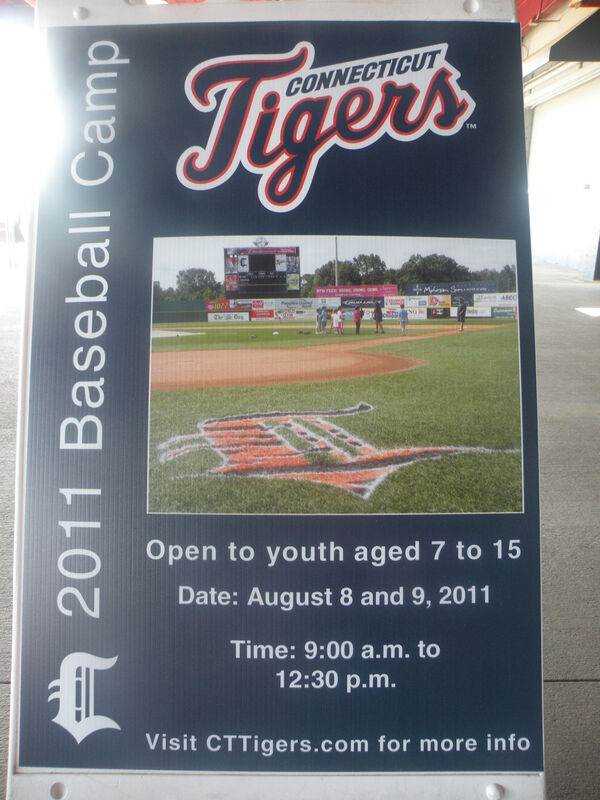 Throughout the remainder of the season, fans can visit Buddy’s Dugout (146 West Town Street in Norwich: Next to Ace Hardware) and meet Tigers’ players. 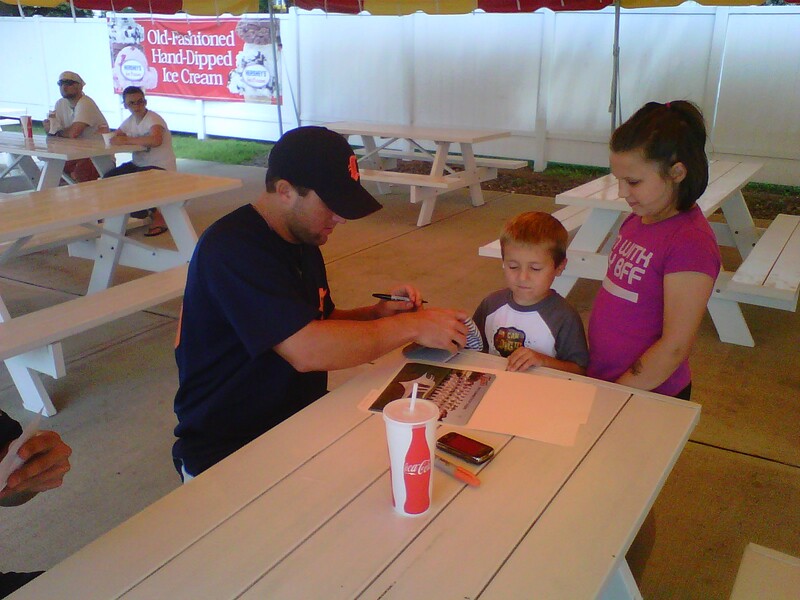 Yesterday, Tigers’ Outfielder Tyler Collins and Infielder Matt Perry had lunch with fans. 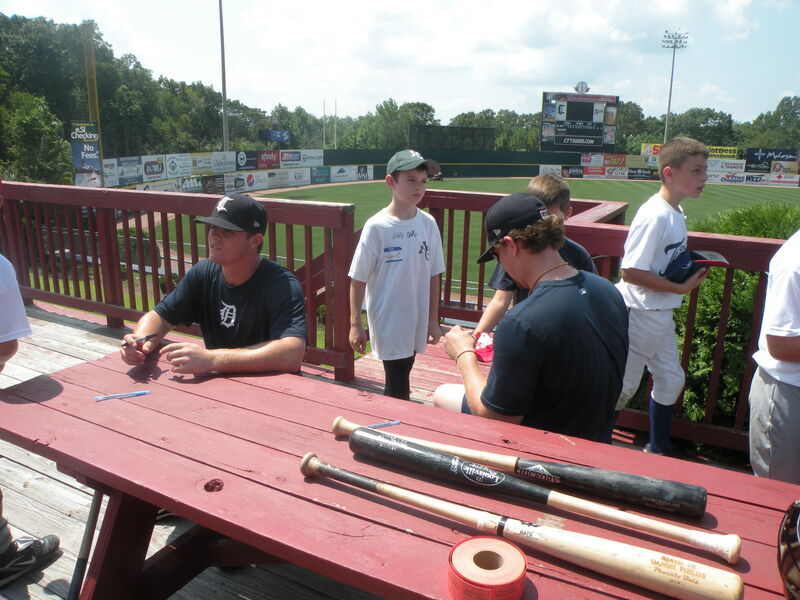 The players also signed autographs and posed for photos. 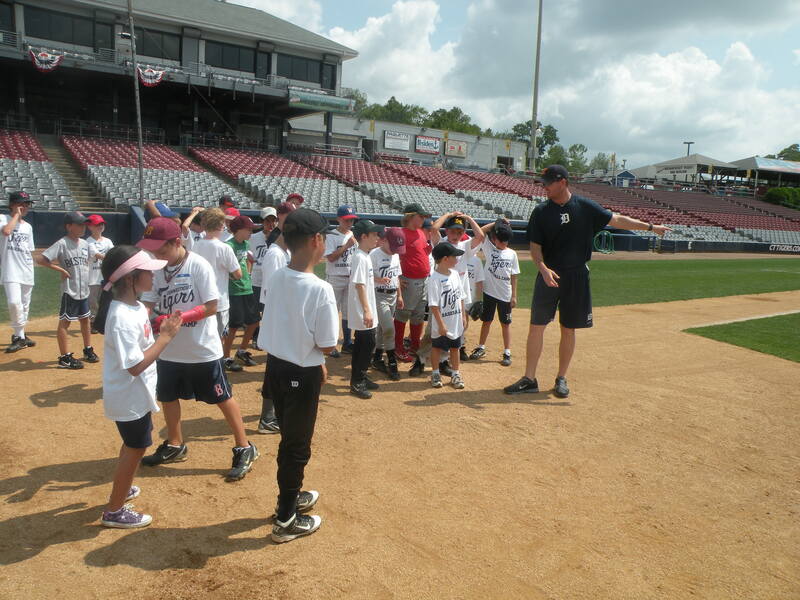 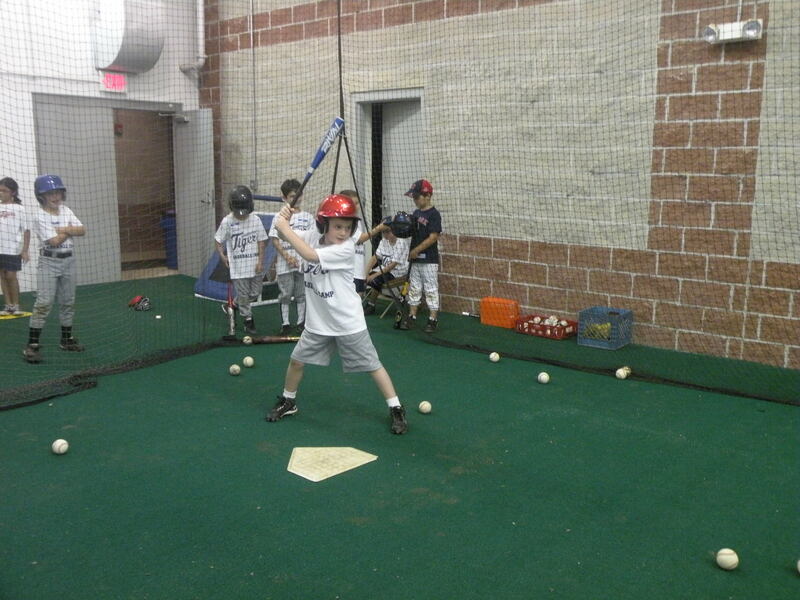 On Monday and Tuesday, Baseball Camp was held at Dodd Stadium. 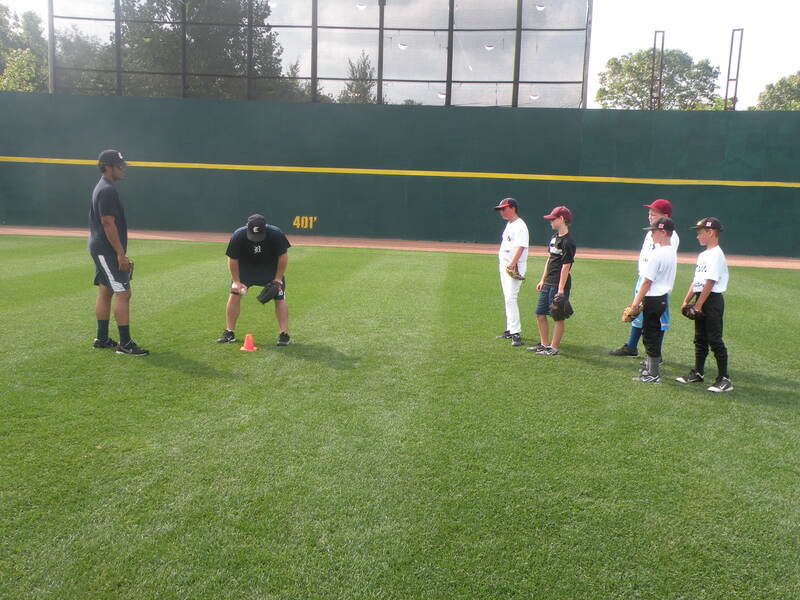 Before drills started each day, Eric McGinnis, the Tigers’ Strength and Conditioning Coach, led campers in stretching and warmup drills. 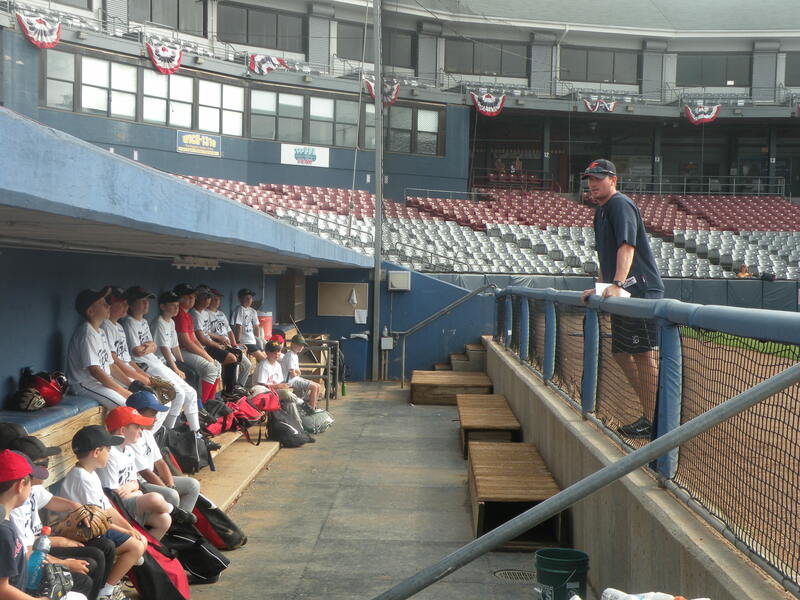 Following camp each day, players and coaches signed autographs for the kids.